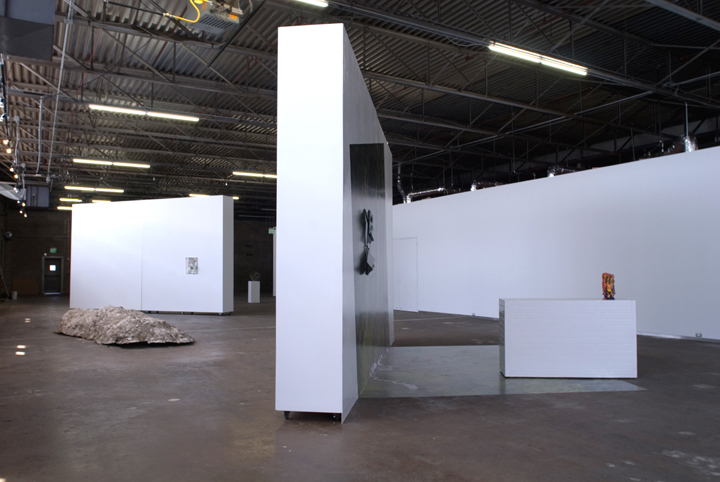 In February, the Dallas Contemporary moved into its new warehouse space. That’s one reason its new show is called “Seedlings.” Another reason, the artists themselves are young ‘seedlings.’ And then there are the artworks — different takes on nature and art, nature and machine, confrontation and collaboration. In February, the art space, Dallas Contemporary, moved into its new warehouse home near the Design District. That’s one reason its new show is called “Seedlings.” Dallas Contemporary is still growing. But KERA’s Jerome Weeks reports there are other reasons for the ‘seedlings’ name. Regine Basha is an independent curator in Brooklyn. She created the “Seedlings” exhibition, she says, by choosing several young artists she knows. One, Jessica Halonen, is from Austin, where Basha lived and worked, but most of the others are relatively recent graduates of Columbia University’s masters program (Basha curated their dissertation show). So the artists, too, are seedlings, just starting out — although some have already garnered significant play in Manhattan galleries. In effect, “Seedlings” is an introduction to a small sampling of contemporary, emerging artists. But another thing unites them, says Basha. In one way or another, they all handle the environment. 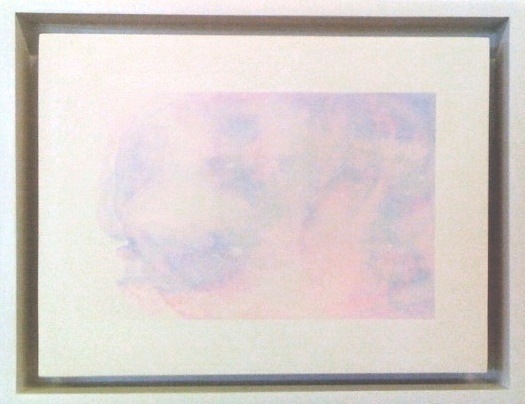 Some works in the exhibition seem conventional enough — videos and paintings, although Christopher Ho‘s series of small, delicate, pink paintings are certainly unusual in that they employ an expensive Swiss facial moisturizer that advertises it contains specially harvested blue algae (above, right). Perhaps the most striking example of an artist interacting with nature, though, is Hilary Berseth’s sculpture. It’s one of a series that’s gotten a fair amount of media attention: Berseth calls them “Programmed Hives” (left). The Pennsylvania artist creates an open wax shape such as a spiral or a cone. He hangs it upside down in a beekeeper’s case and, in the spring, introduces a queen bee and thousands of worker bees. 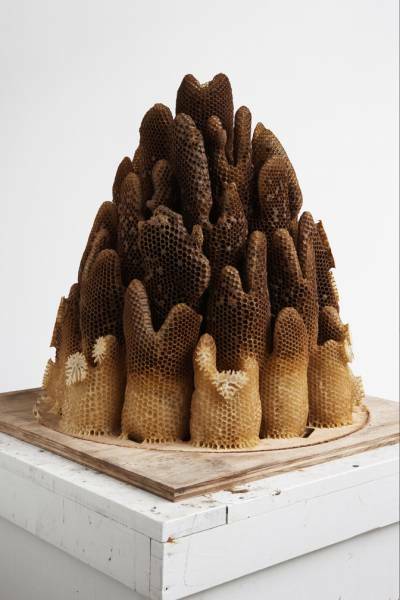 By summer’s end, Berseth’s buzzing assistants have created an undulating sculpture entirely of beeswax and honey. He then removes the bees and stands the cone or spiral rightside up. Erin Cluley is Dallas Contemporary’s exhibitions coordinator. She explains the honeycomb is extremely fragile, so the sculpture is kept under a Plexiglas case. If that sculpture is an image of human-animal collaboration, the flip side would be the confrontation between the natural world and our industrial world. 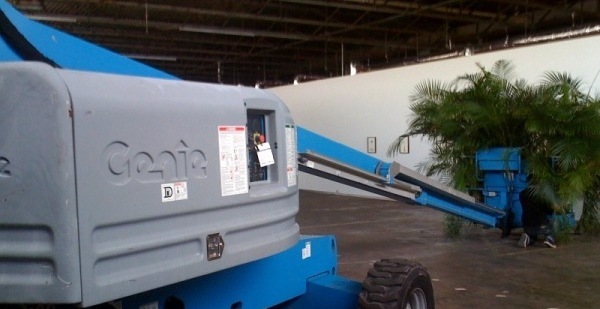 Which brings us to David Brooks and the boom lift inside the Dallas Contemporary. Most people would call it a cherry picker. BROOKS: “Stop out and then – ” [sound of boom lift starting up, engine noise continues under]. Brooks is known in art circles for his sizable wooden or concrete sculptures; they’re basically deconstructed boardwalks and stoops. But his highest profile work is his current installation in the Museum of Modern Art PS 1’s survey of contemporary young artists called “Greater New York.” For his “Preserved Forest,” Brooks replicated a room-sized chunk of Amazonian rain forest with trees and plants and some 50 cubic yards of earth. He then covered it all with a truckload of concrete. The statement about eco-disaster is plain enough. But it’s the scale on which it’s made, Brooks says — the destruction of the rainforest has only increased. And his installation takes the issue of the faraway and dumps it in a very public space. At the Dallas Contemporary, what Brooks calls his “still life” is simpler. Think of it as a vertical landscape. Originally, the cherry picker with the palm trees on top was going to stand outside like a sign post, looking like a giant mechanical tree. But then Brooks saw the warehouse neighborhood and realized any artwork this industrial wouldn’t really stand out as some kind of confrontation. 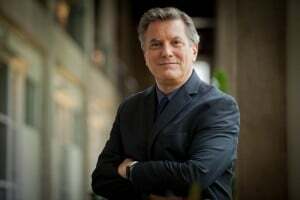 On the other hand, the Dallas Contemporary’s vast gallery provided a rare indoor opportunity, as Brooks says, to ‘engage the architecture.’ In fact, his is the only work that really takes advantage of the Contemporary’s new, extra-jumbo sense of scale. BROOKS: [sound of engine] “I’m just going to raise the basket up until it starts to bend the palm trees — ” [sounds of cherry picker lifting] – “of course, I want to make sure not to do any structural damage on our ceiling” [laughs]. 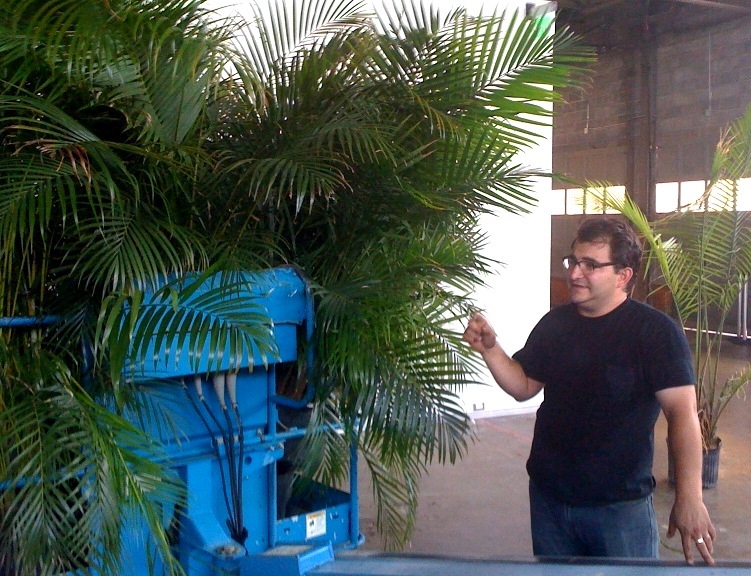 Ironically, for all of the violence in this image of nature being pushed to its limits, it disguises another ‘collaboration.’ Brooks points out the palm trees are farm-raised just like cabbages or lettuce. He didn’t rip up an eco-system to get them. And they’ll be watered – Brooks had to calculate the extra weight that would add to the boom lift because it can hold only 500 pounds. In fact, the palm trees may even … enjoy the experience. The show has a couple of really interesting pieces in it. I met Brooks while he was here and found him to be a very affable person. Thanks for featuring his work so prominently.